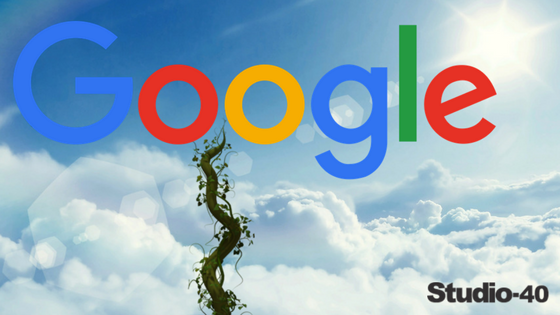 Google is like a beanstalk, everyone wants to climb to the top and reach that elusive pot of gold (or pot of clicks). The trouble is, there are plenty of people out there trying to sell you magic beans and promising first page rankings. So where do you start with your Search Engine Optimisation (SEO) in 2017? The Ogre, A.K.A Google, often changes the rules, and it’s the job of the digital marketing agency to keep on their toes and adapt – tweaking what they do to ensure the best results. There are two major factors which improve your website’s rankings in the search results: Content and Link Building – however, there are a number of other important considerations as well as things you should probably avoid doing. Unfortunately, there aren’t any magic beans for sale here – just some friendly helpful advice for you to bookmark and refer back to from time to time. The content of your posts needs to be interesting, up-to-date and uploaded on a regular basis. Google ranks your content based on all of these, but there are other small tips which can help Google understand exactly what your post is about. H1 - This tag is extremely important, it’s letting search engines know specifically what the page is about. Title Tag – Ensure that relevant keywords are contained within this. Title tags are displayed on search engine results. Meta Description - This is an opportunity for you to encourage the reader to click on your site. It should contain information on what they are likely to read on the page. Keywords – By no means should you be stuffing your post with a huge list of keywords, but neither should you confuse by going off topic. Should all these be optimised correctly, it’s likely to improve your ranking results. After great content, the next step is…links. Unlinked Mentions: Journalists or Content writers can be so focused on getting their piece written that they forget to link to your business. Drop them an email and ask them to kindly link to your website – it makes sense for both parties. Competitor Backlink Portfolio: Have a Google and see who you are competing against on Google Search. Make a list of 10 competitors and see who are linking to them. Once you know who are linking to them, you can create a strategy for that domain to link to you too. Ahrefs is the bee’s knees when it comes to discovering backlinks. Broken Link Analysis: Your website might have changed slightly and your url’s might have altered. If you change a page, ensure that you redirect your old one to a relevant page. This will ensure you keep hold of the SEO value the links brought. Search your profile and discover any broken links you might have and correct them as stated above. Link Reclamation: From time to time people change their websites. They could have previously been linking to your page but for some reason or another they have deleted the link. Drop them an email, or give them a call and kindly ask that they continue to acknowledge you on their website. Guest Blogging: If you have interesting ideas for your sector you should be blogging on your site to try and get these pages ranking. However, you could also write a piece for an external site. News sites accept guest bloggers all the time and they are likely to credit you and also link to your site. Infographics: This technique is similar to guest blogging. Essentially you should create a piece of content which will give another blog some value. People are more likely to share interesting up-to-date content. Duplicate Content - Every page should be unique and shouldn’t be copied from an external webpage nor from another one of your pages. Keyword Stuffing - It’s important to send Google the right signals regarding what the page is about, but putting far too many keywords will run the risk of being flagged up by Google and your site being penalised. Cloaking Text - You should only keep one version of a page. In the past, people would hide the real destination of a link keeping it out of the way of page crawlers. Stick to one version and you’ll be fine. Spammy Links - There are plenty of websites which allow webmasters to post links, some even add your domain without asking you. These sites with a low domain authority and high spam value should be disavowed and webmasters should avoid posting on these sites. I did say there would be no magic beans… Good luck! Get in touch with Studio-40 and get a FREE SEO review of your website and assess how you can optimise your site better. 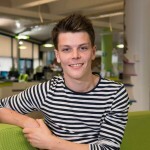 George is an experienced marketing professional who looks after our SEO, PPC clients and Social Media clients.